Sometimes I’ll get a link or a heads-up about a story that just looks to wild on the face of things. So when my good buddy from Twitter shot over this beauty of a headline from 4chan concerning sharia law, my first inclination was to doubt it’s veracity, or at least think that maybe it was a stretched interpretation. That can’t be true, right? 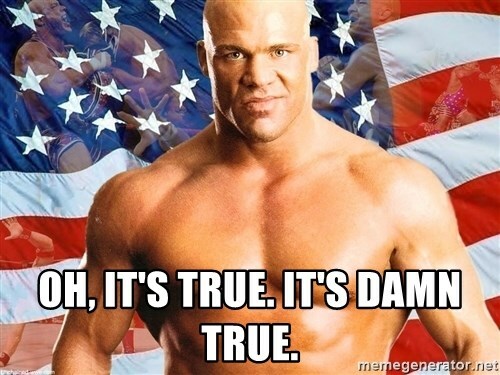 Oh no, it’s true. It’s damn true. The claim is taken directly from a recent government report that purports to study the application of ssharia law inside the United Kingdom. In May 2016, the former Home Secretary launched an independent review into the application of sharia law in England and Wales. 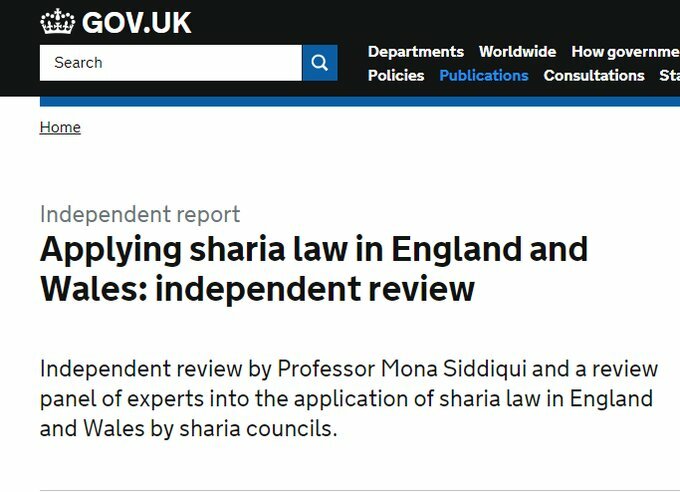 The review focused on whether and to what extent the application of sharia law by sharia councils may be incompatible with the law in England and Wales. This report sets out the findings of that review. The review was chaired by Professor Mona Siddiqui, who was supported by a panel of experts that included experienced family law barrister Sam Momtaz QC, retired High Court judge Sir Mark Hedley, and specialist family law solicitor Anne Marie Hutchinson OBE QC. The panel was advised by two religious and theological experts, Imam Sayed Ali Abbas Razawi and Imam Qari Asim. I honestly don’t know why this needs to be studied at all. It’s seems to be a one-word answer, if you ask me. 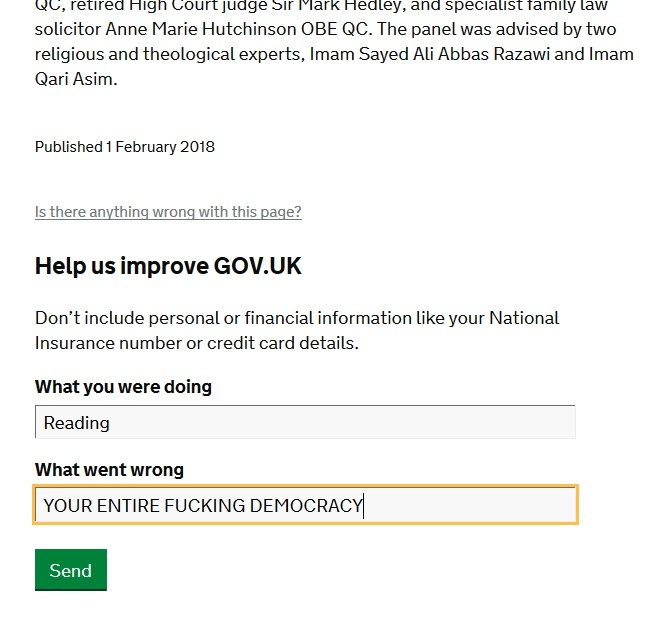 Is the application of sharia law by sharia councils incompatible with UK law? Yes. So stop it from happening. OK, next topic. This picture from the thread unfortunately seems like another appropriate response to the whole matter.